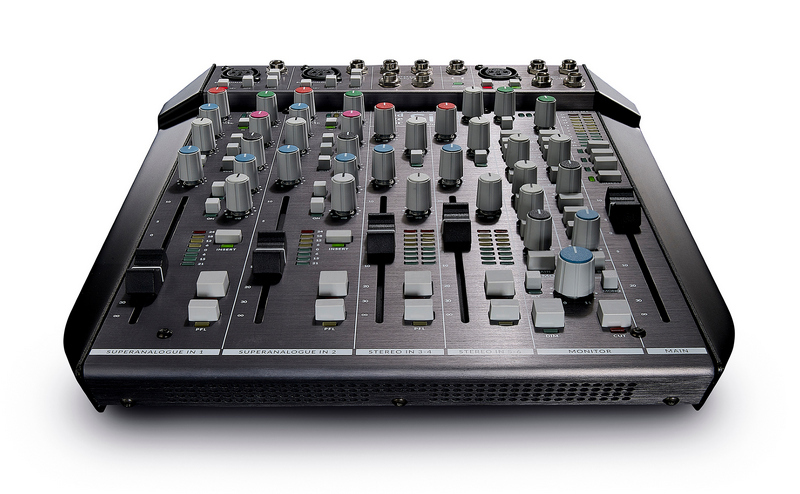 The new SSL SiX is a small-format desktop mixer packed with high-end features you would expect in an SSL console. The new SiX brings together convenience and high-end quality, from the variety of onboard audio processing and routing options to the iconic and intuitive SSL-style console layout. 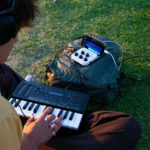 The SiX features two low-distortion “Super-Analogue” channels for microphones and instruments, these channels feature an easy-to-use auto-compressor with a single parameter to quickly dial in the amount. 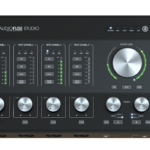 These channels also feature a two-band EQ with various switchable modes, one of the features that sets the SSL-style console apart from the competition is the variety of enable/disable switches at almost every stage in the signal-path – making it incredibly easy to A/B certain parameters. The SiX features 100mm channel faders, giving you a huge amount of resolution and the ability to dial in incredibly fine settings. In addition to the two “Super-Analogue” channels, you have two stereo line channels, for backtracks, synths or keyboards. 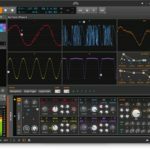 The new SiX is perfect for home-studio producers and solo performers/small bands looking for high-end audio performance, singers/songwriters who want compression, EQ and all the other bells-and-whistles in one place. To top it all off, the SSL SiX is equipped with legendary SSL Master Bus Compression derived from their G Series compressors. The circuit design is identical to the larger iconic SSL consoles with a fixed ratio, attack and release and a more modern VCA chip. It’s a simplified approach to SSL compression to make it quick-and-easy to dial in a sound. 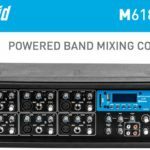 The SiX also features inserts on the main mix bus, allowing you to tap in any outboard FX you want. 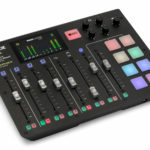 There are also two DB25 connectors allowing you to expand the channel count be adding on other mixers or interfaces, and there are several outputs for monitors, record outputs and an extra bus output just in case. 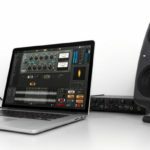 The entire mixer features a fully-balanced signal-path, and it delivers the high-end benchmark SSL sound in an incredibly compact form-factor. The SSL SiX is not cheap, however SSL consoles are known for their audio performance and reliability. It’s set to retail at USD $1499 (Around R22k excl. duties), for more information check out the SSL website here.